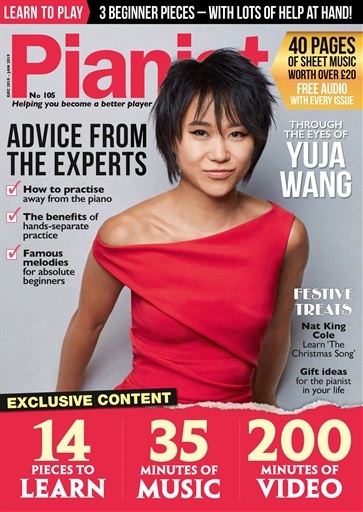 Mason and Hamlin, with its many models, provide pianists with a rich list of pianos to choose from. If you are looking for a piano that's worth taking pride in, the Mason and Hamlin AA Grand Piano is the right choice for you. True to the essence of being a product of one of the world's oldest and most respected piano manufacturing companies, Mason and Hamlin pianos are known for the rich and velvety sound made possible by the precise action and quality materials that characterize this top quality brand. Here are some of the best piano models Mason and Hamlin is known for. Model 50 The Model 50 is Mason and Hamlin's signature professional upright. It is a handmade vertical piano and is known for its durability, rich tone and power compared to other pianos. This is the only upright model Mason and Hamlin manufactures to date. Model A If you a looking for a piano under 6 feet, Mason and Hamlin's Model A is perhaps the best choice — in fact it is considered the world's best grand piano for this purpose. Model AA The Model AA is one of the most exceptional and artistic of all the Mason and Hamlin piano models. It possesses old-world craftsmanship, time-honored Mason and Hamlin features, and a sleek design, making it one of the most popular models on the market today. Model B If you want a 'small piano' and are looking to enjoy the same quality sound that big Mason and Hamlin models feature, then this piano is perfect for you. Model BB At 7 ft, this model redefines your idea of how a piano this size should play and feel. It boasts power and sonority that can stand at par with concert grands. Model CC-94 For an ultimate, scene-stealing performance, this piano, at 9 feet 4 inches, is the ideal model to get the crowd in robust applause. Through all the years that the company has existed as one of the world's topnotch names in the piano manufacturing industry, Mason and Hamlin is not indifferent to business highs and lows. Nevertheless, the company continues to exist and enjoys the patronage of millions of artists, pianists, and collectors all over the world. The company's earnest beginning started in 1854 when Henry Mason and Emmons Hamlin opened Mason and Hamlin Company in Boston, Massachusetts. With very little capital, the company went on to become one of America's greatest piano manufacturing companies by the turn of the century thanks to Mason and Hamlin's love for music and attention to detail, despite their limited production capacity. The company survived the Depression and World War II, although the quality of pianos eventually declined in the passing years. In the 1996, Burgett, Inc., purchased Mason & Hamlin and a great amount of effort was put in to resuscitate the ailing firm. What resulted was a revived image that to this day continues to produce quality and durable pianos that Mason and Hamlin was known for since it was established more than 160 years ago. One of the most popular and perhaps finest piano models that Mason & Hamlin has to offer is the Model AA Grand Piano. 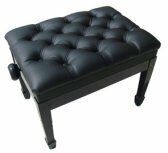 It is an exceptional instrument, a product of old-word handmade craftsmanship and modern-day design elements that truly makes it an appealing and chic choice among pianists, artists, and music aficionados. The Model AA stretches 6 ft, 4 inches. An impressive choice, with its tonal clarity, pitch consistency, touch responsiveness, aesthetics and craftsmanship all of topnotch quality. Perhaps no other piano type could stand when matched with the features that the Model AA has to offer. It is capable of large sonorities and even the softest, most delicate whisperings. 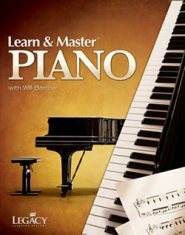 Its superior and highly sensitive action [designed by Wessell, Nickel and Gross] is the ideal choice for pianists, from amateur artists to world-famous performers. With its beauty and classic lines, the Model AA is also perfect for any interior. Mason & Hamlin AA Grand Pianos are available in elegant mahogany, pyramid mahogany, walnut, exotic Brazilian Rosewood, macassar ebony, bubinga and classic satin and high-polish ebony. At 6ft 4in long, the AA measures 57.67 in (146.5cm) measured from the front of the keyboard to the end of the lid. Its rim is made of hard rock maple with thickness at 3.25 in (83 mm). Mason and Hamlin's reputation has remains strong and sturdy our times. It began as a small partnership in 1854, of Henry Mason and Emmons Hamlin. The company initially manufactured melodions until they became the biggest manufacturer of reed organs, with 500 workers and turning out 200 instruments every week. In 1883, the Mason and Hamlin began manufacturing pianos, starting out with upright pianos unique for its screw stringer. This innovation revolutionized the traditional piano system with tuning pins. At the turn of the century, Mason & Hamlin roared during the Golden Age of Piano, although the Depression and World War II put a toll on the quality of work that Mason & Hamlin was once known for. Throughout the 1900s, Mason & Hamlin lingered on although not as glorious as it was during its heydays. In 1996, the company was bought by Burgett, Inc., ushering in the company's revived glory. Mason & Hamlin continues to manufacture pianos in its hometown, Haverhill, MA., and remains one of the world's greatest distributors of American-made pianos, at approximately 300 manufactured per year. What sets Mason & Hamlin apart from other piano manufactures is that the company has its unique piano craftsmanship methods, resulting in top quality and rich music for all to enjoy. Perhaps, its crown retention system is one of the reasons why Mason and Hamlin pianos are revered and beloved by pianists, artists and performers around the world. But there is actually more! The Crown Retention System is exclusive for Mason & Hamlin pianos— other piano labels don't have this. 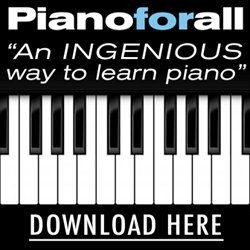 This innovation lends sturdier stability for the piano. The tension resonator, which has been designed and patented for Mason & Hamlin by Richard W. Gertz in 1900, encompasses heavy case ribs, thick, hard rock maple rims, and an eastern white spruce soundboard. If you happen to notice, Mason & Hamlin pianos manufactured between the 1890s and 1930s have a Crown Retention System which keeps the crown of the soundboard - hence, the original power and tone - running throughout the piano's lifetime. The principle behind this invention, as theorized by Hertz, is that crowning, or the slight bowing of the soundboard, improves the amount of energy that the piano transfers to the strings via the soundboard's bridge. Furthermore, Hertz emphasized that the inadequate amount of crown will cause the piano to lose volume, in effect, sounding lifeless and flat. In the long run, this setback could diminish a piano's value. The unique Mason & Hamlin tone results from a piano that is manufactured using only authentic Boston-era designs that emphasize careful attention to detail and accuracy. The full, powerful bass, lyrical tenor, bell-like treble tones, and the excellent sustain are features that you will only enjoy when you have a Mason & Hamlin piano. With its tunable aliquots, you get a tone that is harmonious and accurate for the ears. What makes Mason & Hamlin pianos legendary are their longevity like no other. Although Mason & Hamlin pianos are historically considered as the world’s costliest piano to build, still you get your value-for-money with a piano that lasts beyond a lifetime. Credit is due to the quality materials used in making each piano, as well as the attention and delicate care that remains a craft unique with Mason and Hamlin. From the rock maple rims, white spruce soundboards, and full perimeter, to the sand cast plates, chrome tuning pins, quarter sawn maple pin blocks and bridges, down to the hinges and screws, when you shop for a Mason & Hamlin piano, you are purchasing the finest, most accurate, and durable materials. 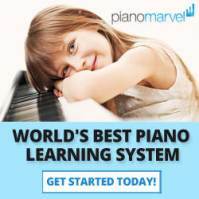 But what is more special with each piano is that it is made with the right balance of moisture content levels, which are constantly monitored and conditioned, so far explaining why Mason & Hamlin lasts longer than any average piano brand. Looking for the Current Market Value of your Mason & Hamlin piano? Please contact us at the form below to request a serial number search for your Mason & Hamlin piano. If you wish to purchase a used Mason & Hamlin piano, please use the form below to place your request. We look forward to hearing from you.